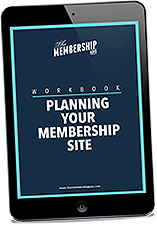 Have you decided what to charge for your membership site yet? It’s something that lots of people struggle with – afterall, how do you put a value on your content? It can be all too easy to price too low or too high and, whilst price can be changed, ideally you want to start out in the right ballpark so that any adjustments are strategic (e.g. a launch price being raised) rather than reactionary (e.g. lowering your price because no one is buying). So, working out your pricing sweet spot is something that you’re going to want to put a little time into in order to avoid complications down the road. The first thing you should think about is whether you’re going to offer recurring or non-recurring payments and we actually talked about this previously in our post ‘Should you charge a one-off fee or recurring payment’. 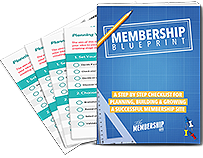 Now, for a standard monthly membership site this is a no-brainer and you’re going to be using a recurring payment model – that’s a big part of the appeal of having a membership site afterall! Typically recurring payments will be monthly and in the range of $10 – $97 (but much higher priced options do exist!). 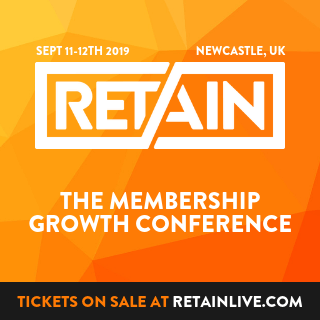 The implementation of recurring payments is a little more involved as you want to ensure that if a payment isn’t made then access to your content is revoked – however this is easily done with most membership plugins. Obviously you are also allowing members the chance to cancel with this option, so when working out your pricing it’s useful to also think about how long you think the average member will stay with you. You may wish to offer a one-off price instead of, or as well as, recurring options. This is typically the case for membership sites that are providing access to a single course or signature programme. You will often find annual or lifetime memberships offered alongside monthly pricing as well though. Non-recurring payments are typically much simpler – people pay, they get access to the content and, short of asking for a refund, that’s all there is to it and that money is in the bank. One-off payments are also typically for higher amounts – how high depends on the exact type of membership you’re creating and the content provided. It’s worth considering though that whilst the price may be higher, that doesn’t necessarily mean that you’ll earn more in the long run by going this route. Instalments aren’t the same as recurring payments – these are when you split up the one-off price into a set number of payments (typically 2-4) to allow people to spread out the cost. There is still the risk of members cancelling or missing payments with this option though. Before you start working out your actual price, make sure you’re clear on whether you’ll be offering a recurring or non-recurring option. Look at what your competitors are charging and how your product compares. Work out the value that the end result has for your member. Survey your audience and see what price range they would be willing to pay. Think about where you want to position yourself in the marketplace – are you hoping to reach as many people as possible or to be an exclusive high-end option? Consider the amount of 1-2-1 or group support you’re offering. You can typically charge higher if your offering includes hands on support. It generally works best to consider all of these things in tandem in order to work out your perfect price. If you’re an expert in your field, offering 1-2-1 support and a guaranteed result, then you know that your pricing can be a lot higher than for a DIY membership with no support. If on the other hand your competitors are all charging $30 and you want to charge $90 for a similar offering, does your audience research indicate that they would be willing to pay that much? And are you able to demonstrate the additional value members will receive for the higher amount that you’re charging? At the end of the day, the only real “rule” with pricing is that your price should fall somewhere between the amount it costs you to create and maintain your membership and the amount that your audience are willing to pay for what you’ve created.